You are currently browsing the tag archive for the ‘concrete block’ tag. Outdoor rooms should be a comfortable, serene, and functional living area, and be an extension of your indoor space. 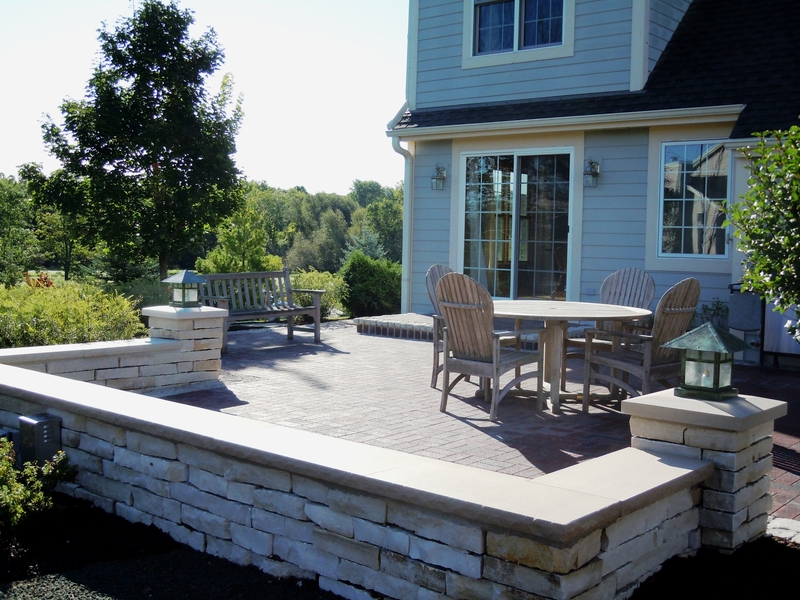 The many types of landscape stone can help create a pleasant, functional outdoor living area. It can be used in the paving, walls, and other architectural pieces, and complement the color and the stone on your home. This Lannon stone wall acts as a seat wall, defines a sense of space and privacy. Columns with lanterns anchor the wall. 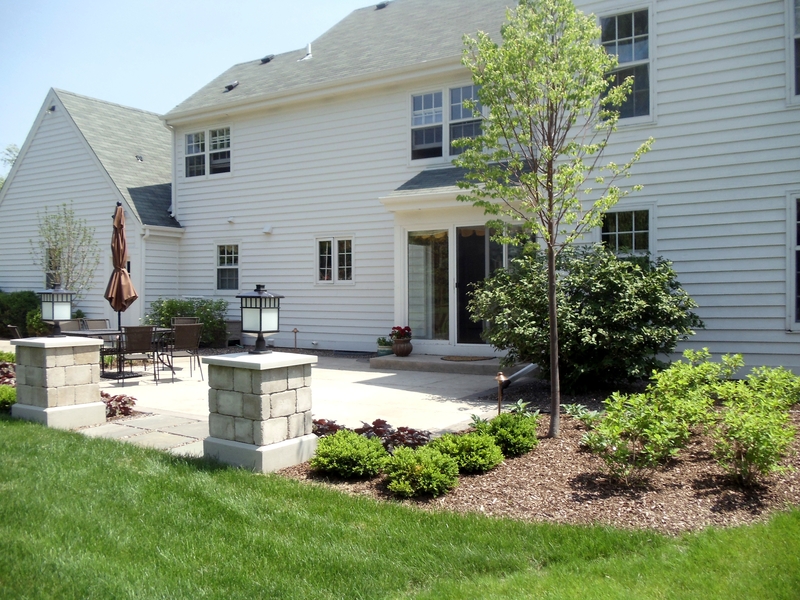 Allows to level a yard with a large slope, giving more space for a living area. 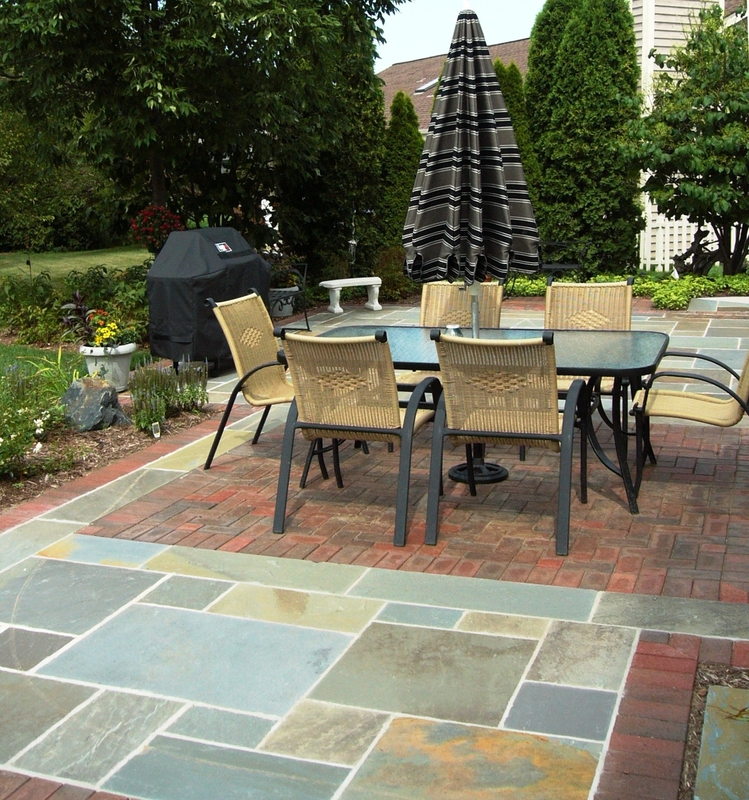 A Bluestone and brick combination breaks up a large patio into different areas for different functions. Here the brick inset acts as the dining area. Concrete block columns topped with lanterns frame the entry to this patio. Stone insets break up the paving area into individual outdoor rooms, for example, an eating area and a lounge area. They can also give an illusion of an area rug. 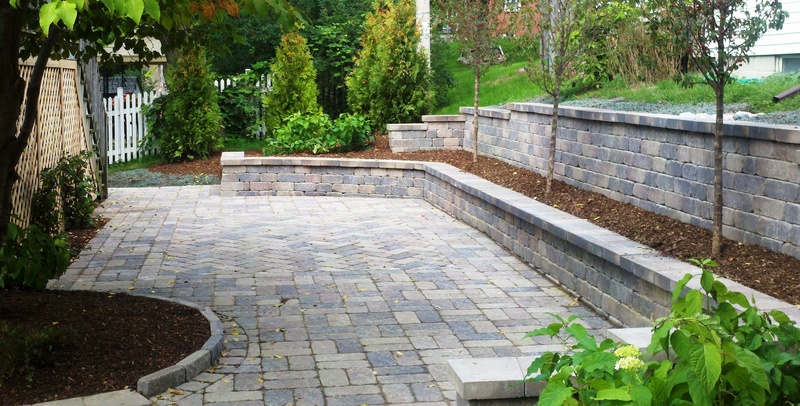 Concrete block retaining walls hold back soil to provide more room for a patio. The lower wall can also act as a seat wall.